On the ice, Riley Cote was a tough guy who often encouraged his opponents to drop their gloves. Now, the retired NHL enforcer is asking hockey players to drop their alcohol and opioids, so they can pick up pot. "It's changing the conversation when it comes to the recovery process," Cote, 36, said in an interview with CBC Toronto. Hockey is a rough sport and full of injuries. Whether it's recovering from a puck to the ankle, or a career of concussions, Cote believes medicinal cannabis is an underutilized and more "sustainable" way for players to ease the pain. "Traditionally, especially in sports, it's always been with destructive substances like alcohol, opioids, sleeping pills," Cote said. "I'm all about increasing quality of life and giving guys an alternative to traditional protocols." Cote was in Markham on Monday speaking about cannabis with a group of NHL alumni. The event was put on by the Medicinal My Way cannabis advocacy group and the Athletes for CARE organization dedicated to helping retired athletes. It was supported by the cannabis producers FSD Phrama and MedReleaf. 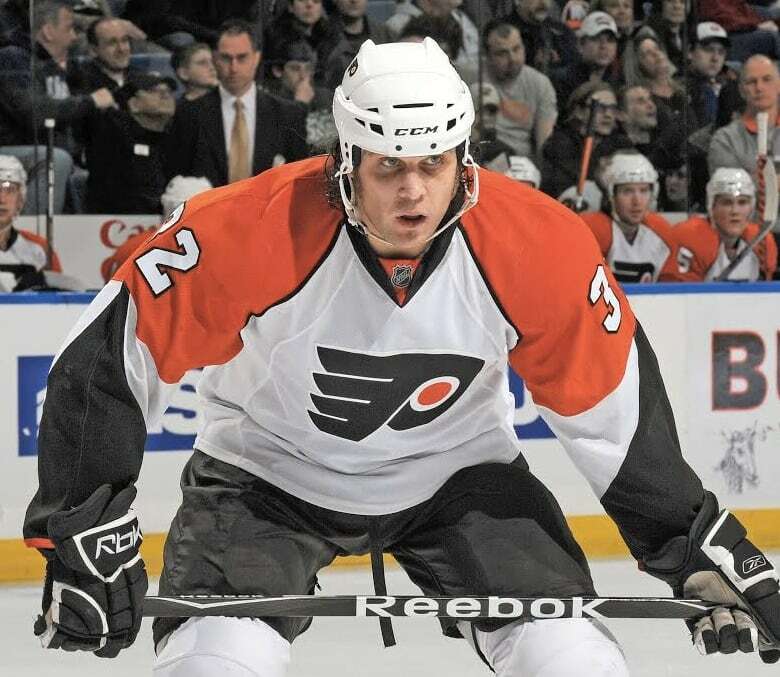 Cote, who played professionally for the NHL's Philadelphia Flyers, told the audience he suffered a "long list" of injuries in his career, including concussions. "It certainly takes its toll," he said. Throughout his career, Cote smoked pot to lower his anxiety and help him sleep the night before game days. But by doing so, he was breaking the law and league rules. Cannabis was and still is on the NHL's list of banned substances. Players are tested for the drug, but unlike other substances, a positive cannabis test doesn't by itself lead to a suspension. Last week, the NHL indicated it does not intend to change the rules on cannabis with legalization coming in Canada on Oct. 17. Steve Ludzik played seven seasons with the NHL's Chicago Blackhawks. After retiring from the game, he developed Parkinson's disease. At Monday's event in Markham, Ludzik said for years he suffered from insomnia, a symptom of Parkison's. "I drank," Ludzik said of earlier attempts to cure his sleeping problem. But two years ago, he tried cannabis for the first time, and has been using it ever since to get to sleep. "It was remarkable," Ludzik said. "It's a lot easier on your body than alcohol." For now, Cote is taking his cannabis message to retired hockey players, who aren't constrained by drug policies covering current players. But ultimately, he'd like to see those policies changed and cannabis take the place of other painkillers used by hockey players. "This is the best tool for these guys," he said.